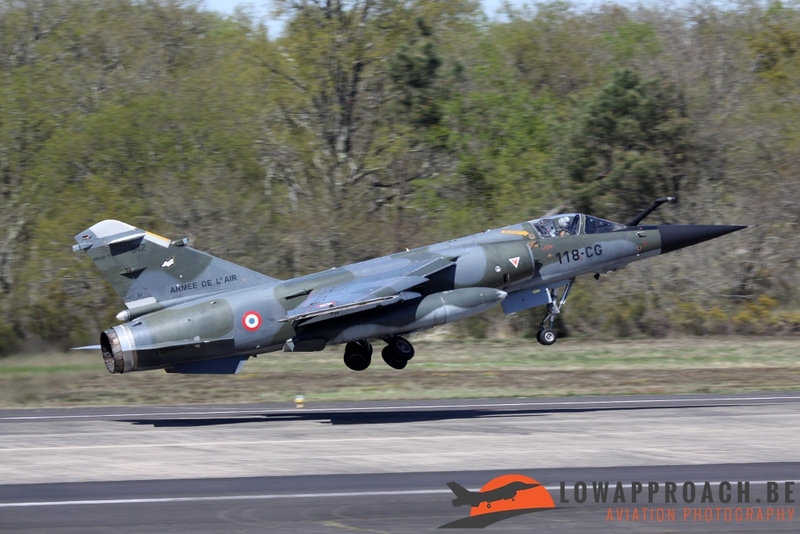 The Dassault Mirage F-1, a photographic overview from the last five years of an iconic fighter operated by the Armée de l’Air. Part three: 2014. 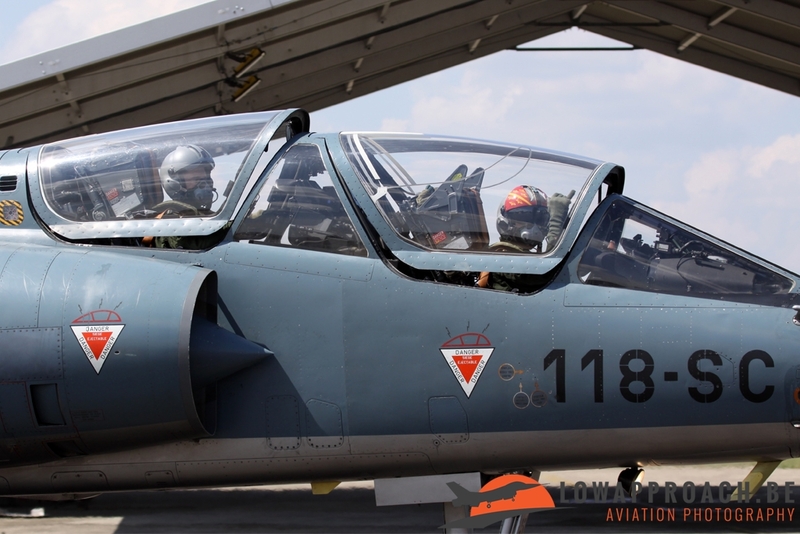 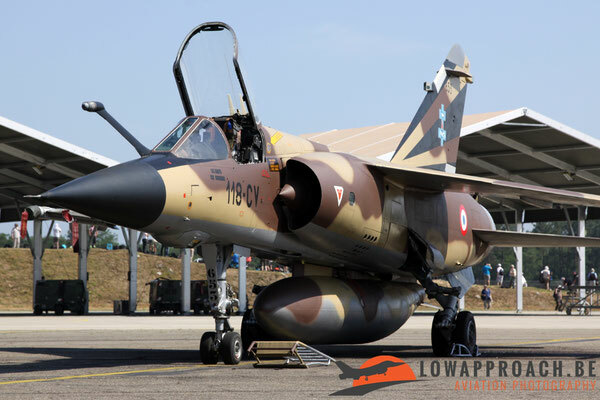 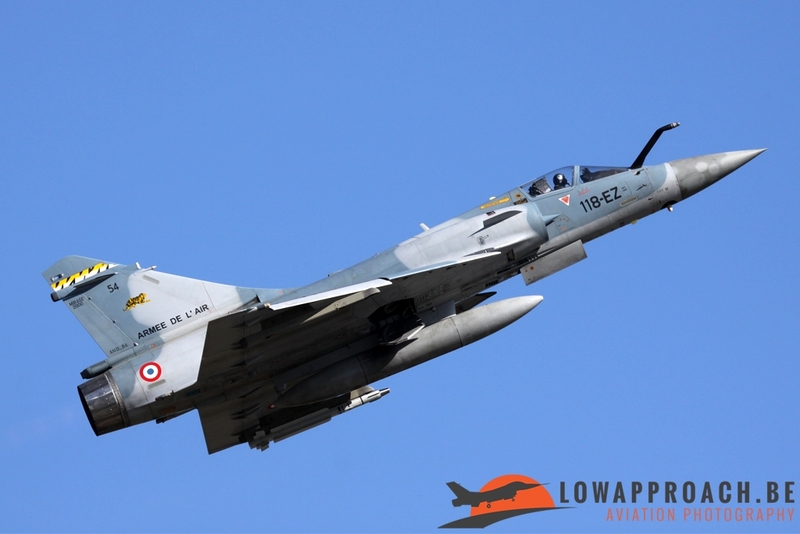 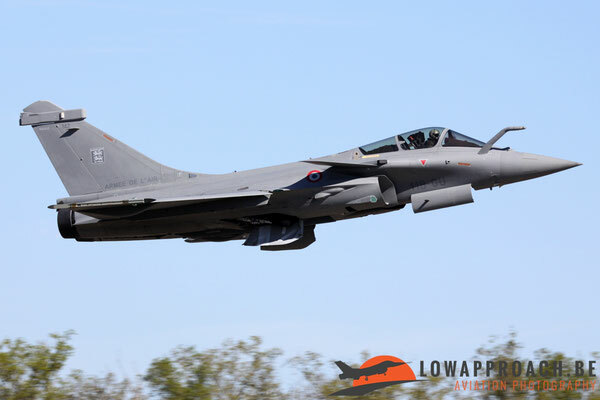 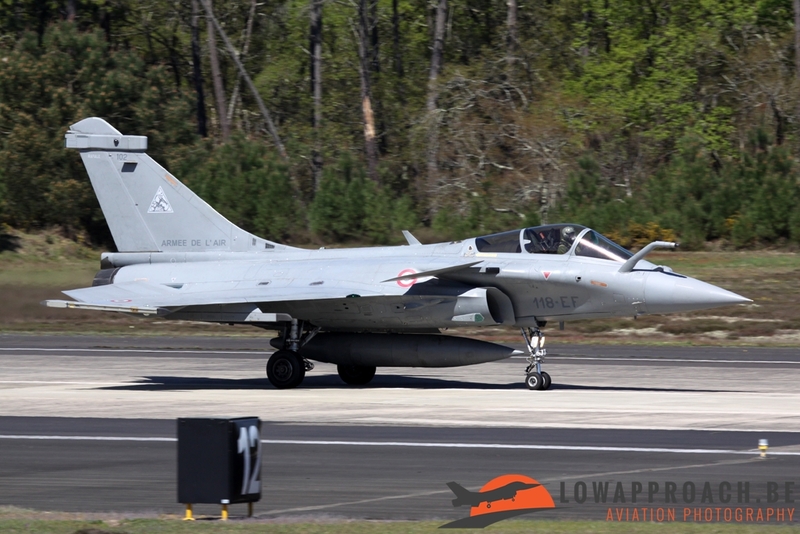 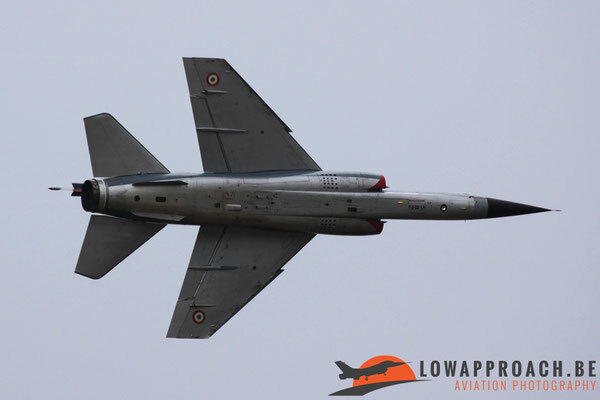 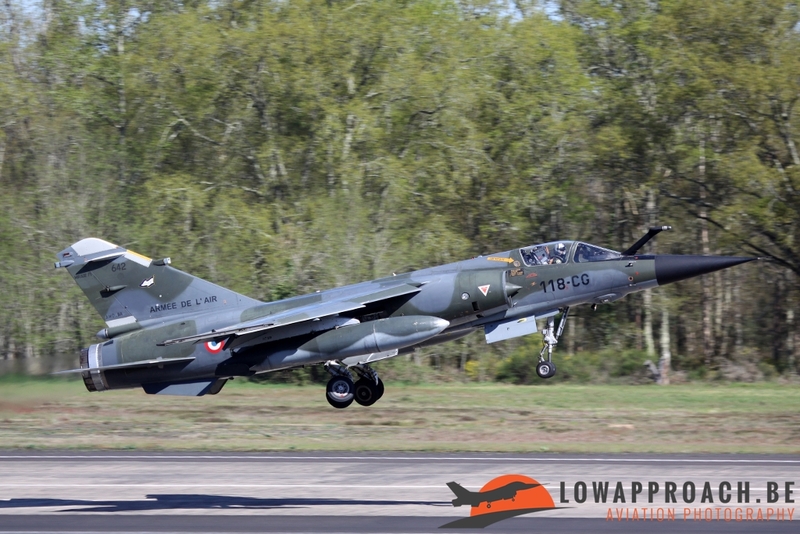 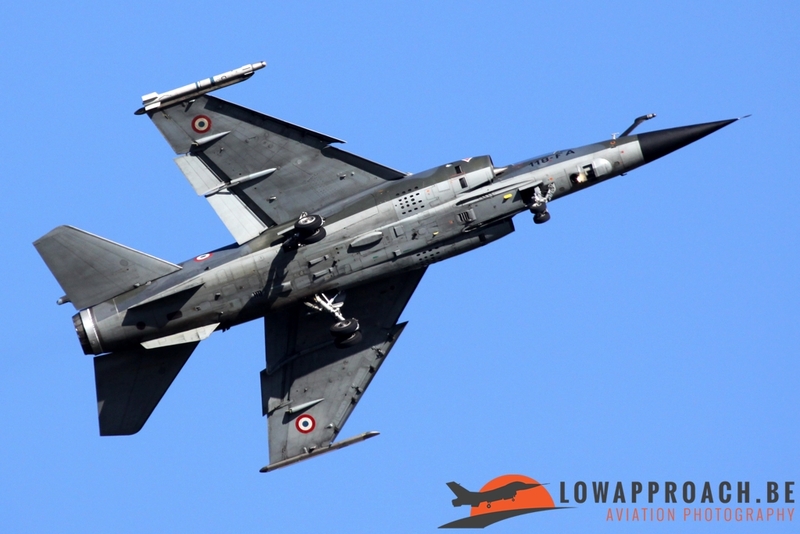 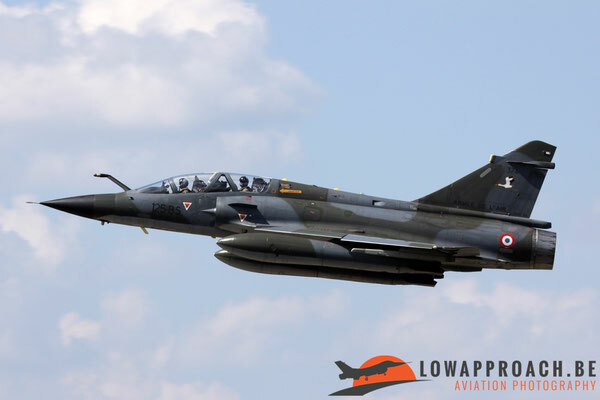 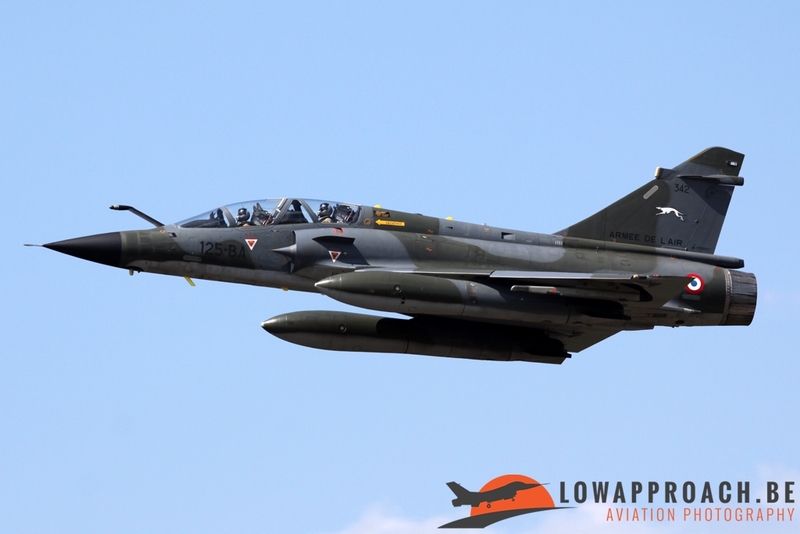 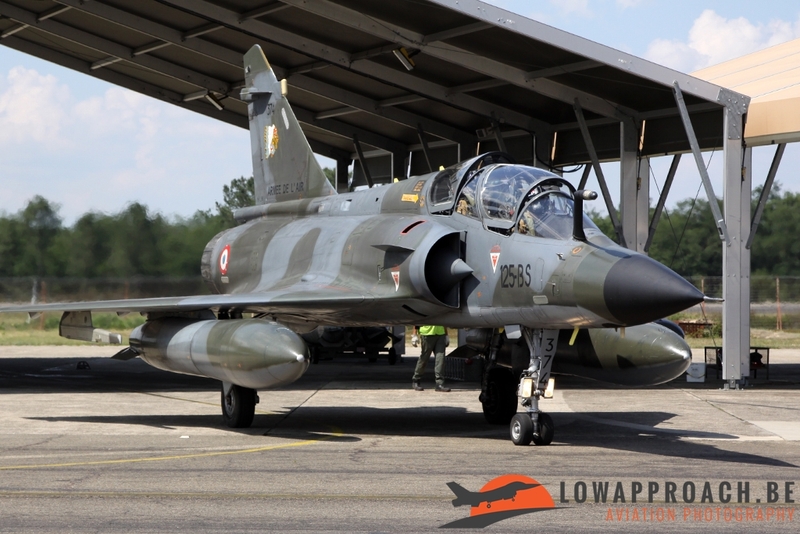 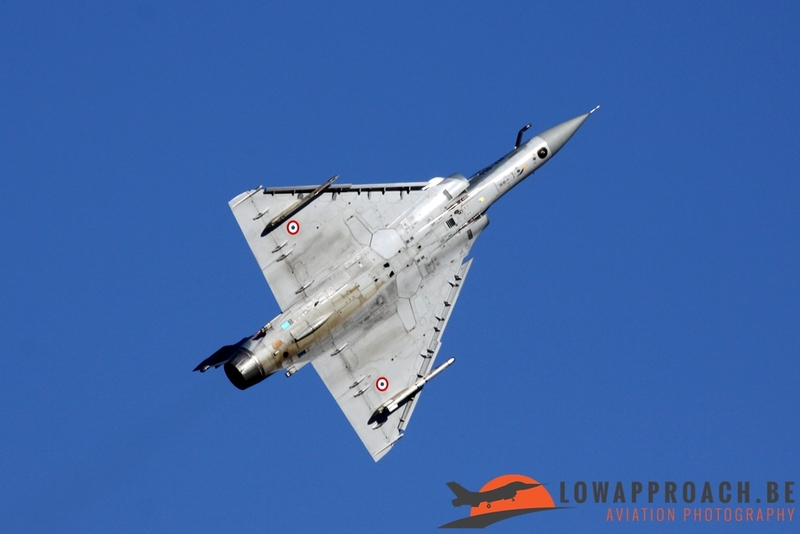 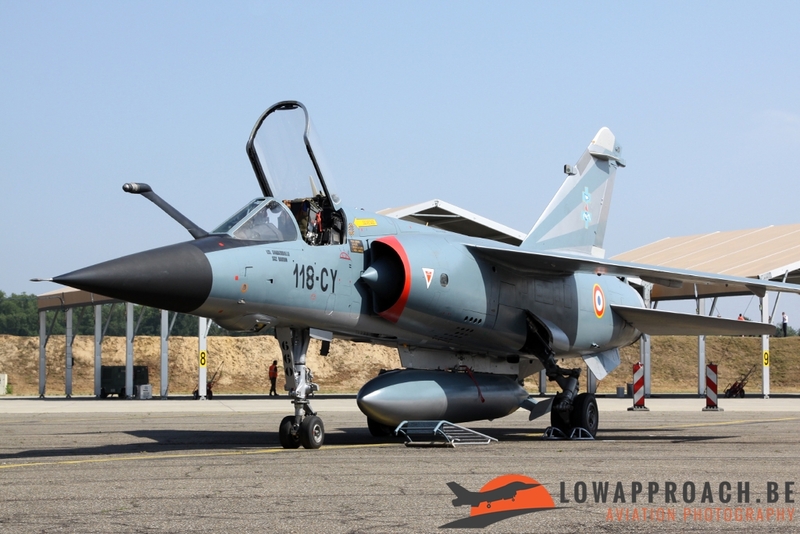 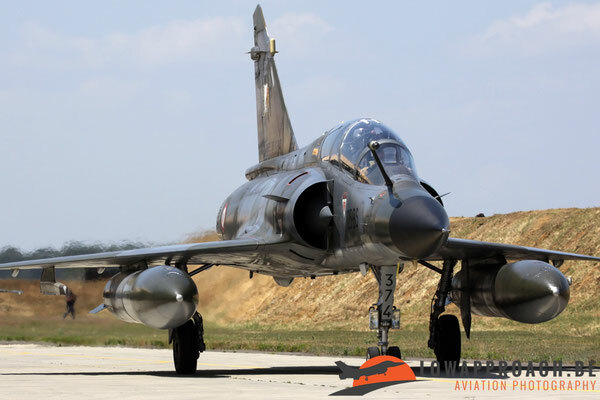 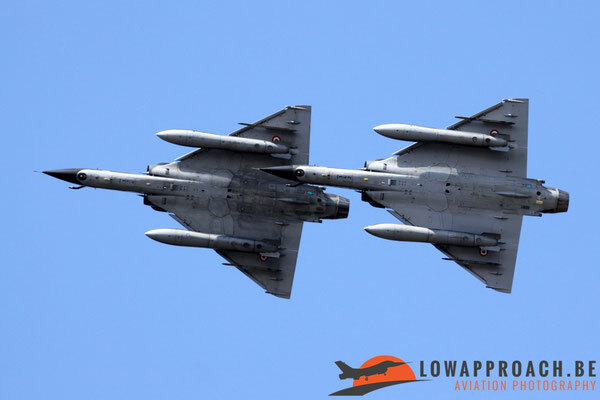 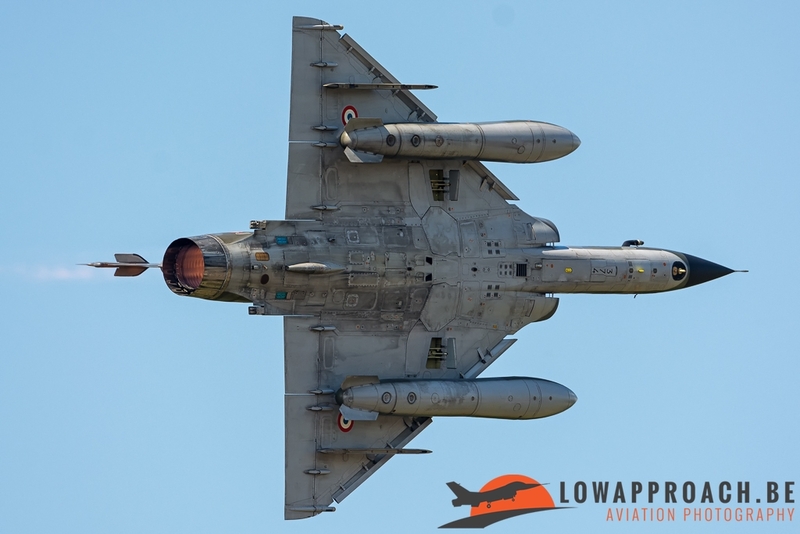 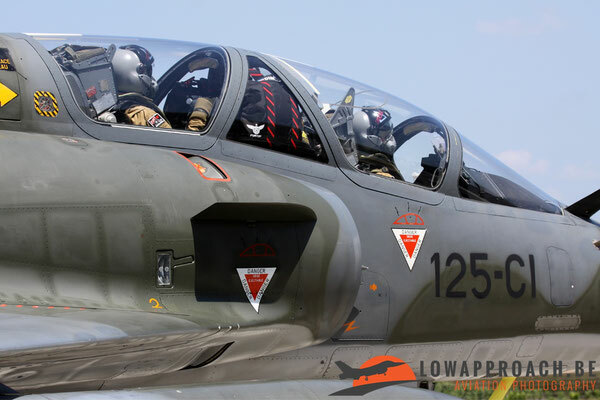 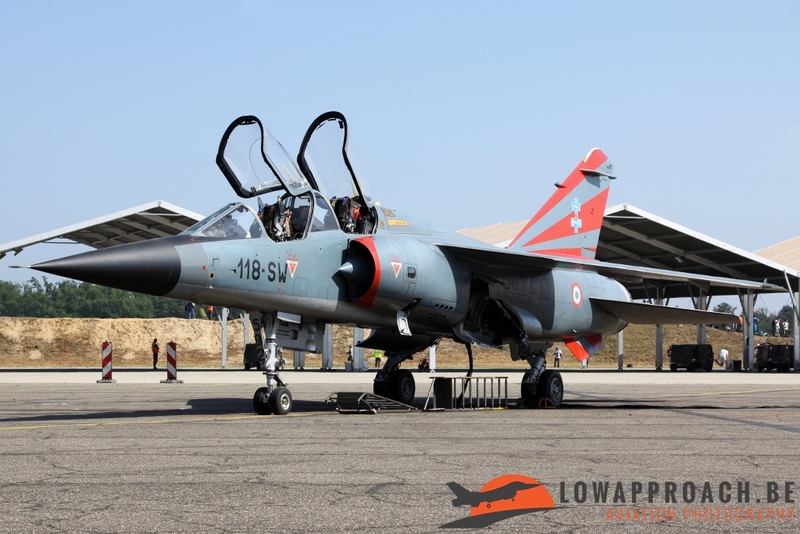 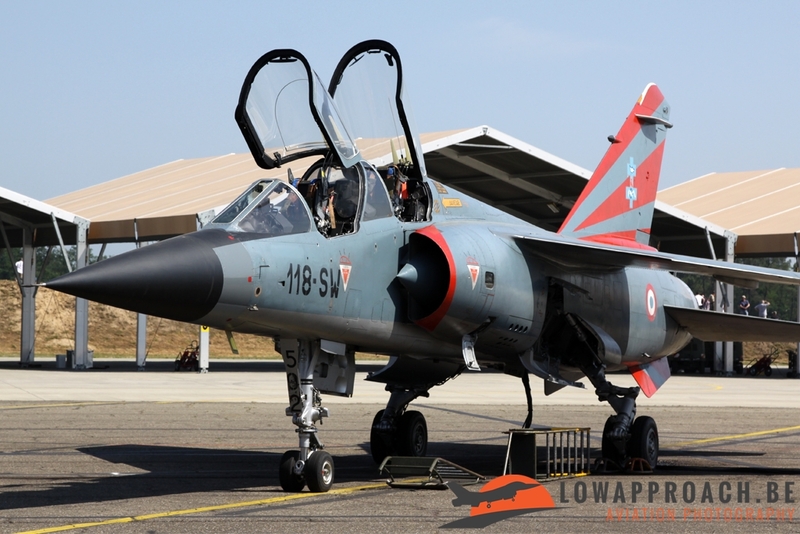 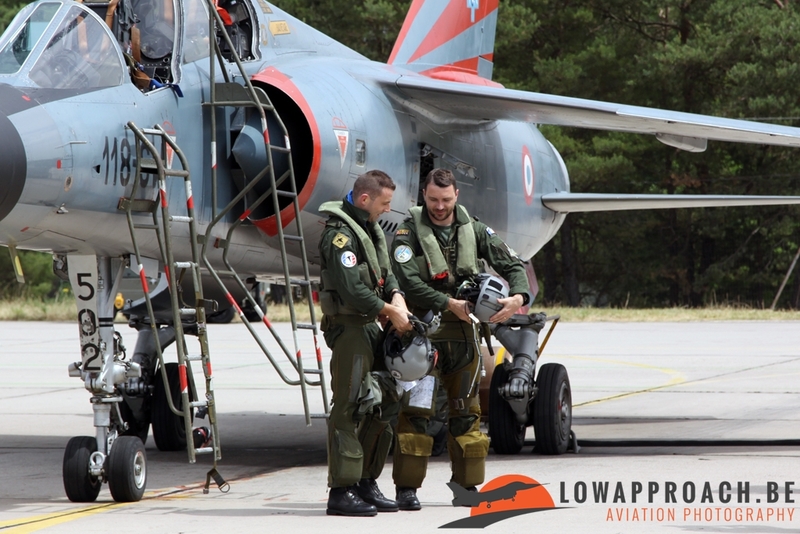 The last year of operational flying of the Mirage F-1 ER.02.033 Savoie didn’t surprise us anymore when they announced to organize a second edition in a row of the Recce Meet during the spring of 2014. This time also about 200 spotters were welcomed on April 10 and after I got an invitation, tickets were immediately booked. 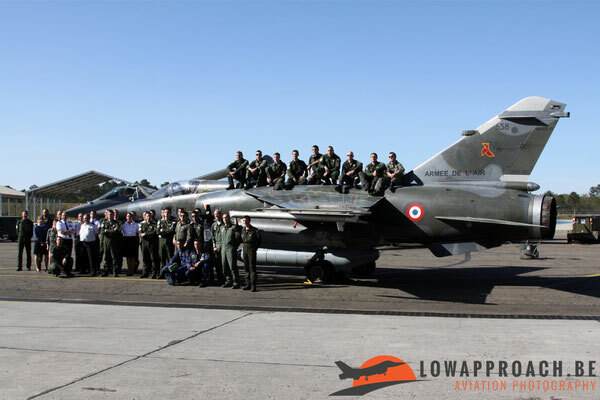 For me it was a little ‘Tour de France’ because in the same week I went to Nancy-Ochey to see exercise Green Shield with several participating F-15’s from Saudi Arabia, Saint-Dizier, Mont de Marsan and Tours. 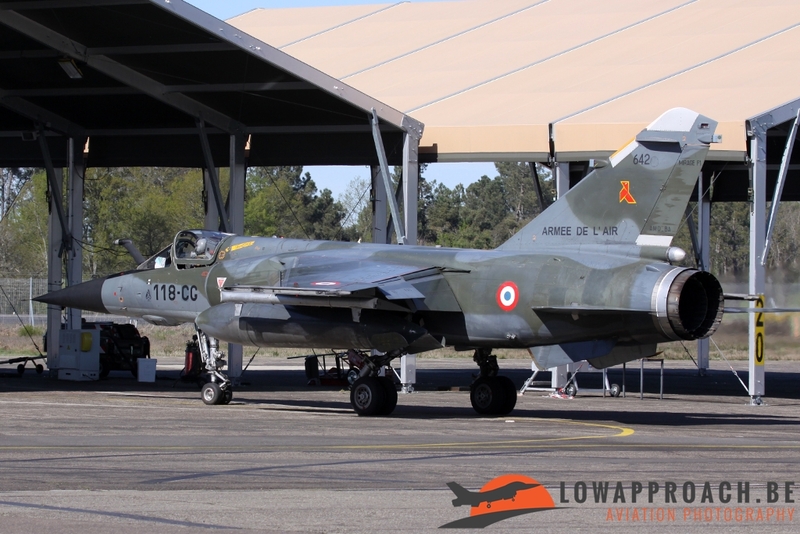 Compared with my earlier visit in 2013 we had this time fantastic weather in the Department Landes and for this second edition also foreign crews were invited to join the 2014 Recce Meet. 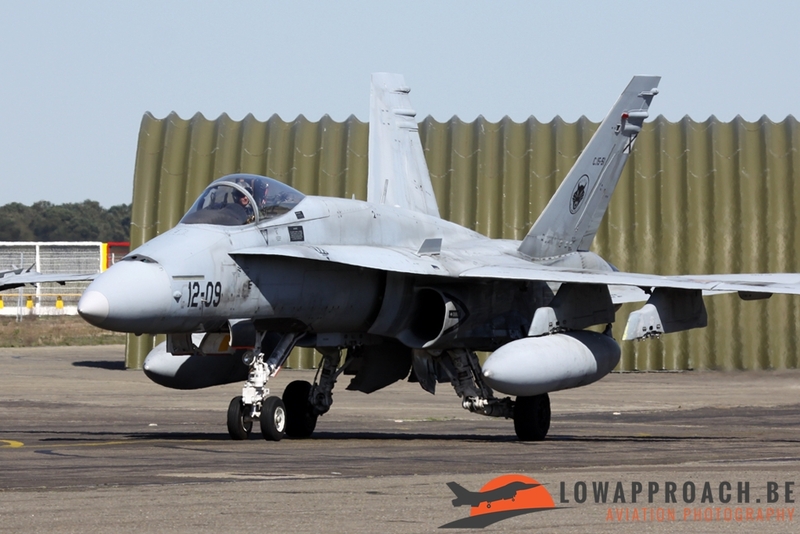 Two EF-18M Hornets from Ala 12 based at Torrejon, the sole unit which carries out missions of tactical air reconnaissance for the Spanish Air Force using the Reccelite pod arrived during the spottersday but the highlights were two (ex-German) RF-4E’s from 348 TRS ‘Eyes’ of the Hellenic Air Force based at Larissa which arrived one day prior the spottersday. When we arrived with the first bus at the flightline already some Mirage F-1’s returned to base from their early departure in the morning and with eastern winds the spot on the mount give us again a perfect view to all the activity on the runway with based Alpha Jets, TBM700A, Rafales, Mirage 2000’s and the Mirage F-1. 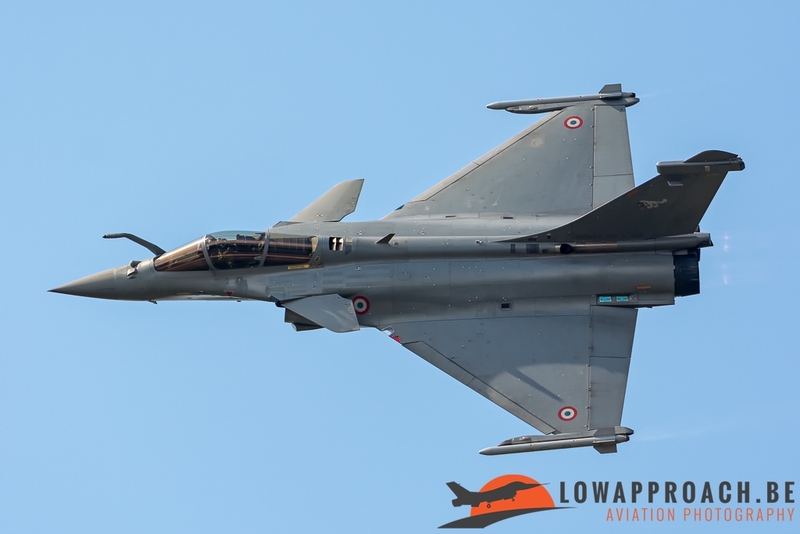 One Rafale from EC 02.030 ‘Normandie-Niemen’ was equipped with the Thales Reco NG reconnaissance (AREOS) pod which was used for the first time above Afghanistan by the French Air Force in 2010. 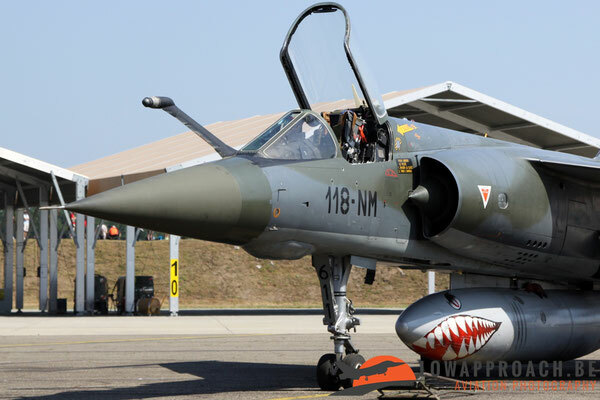 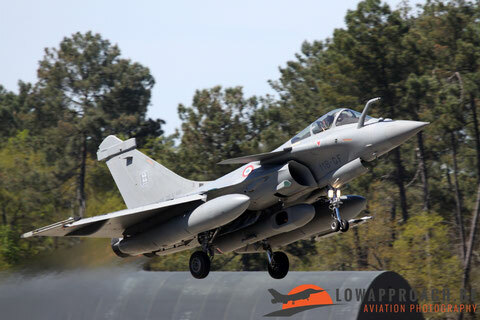 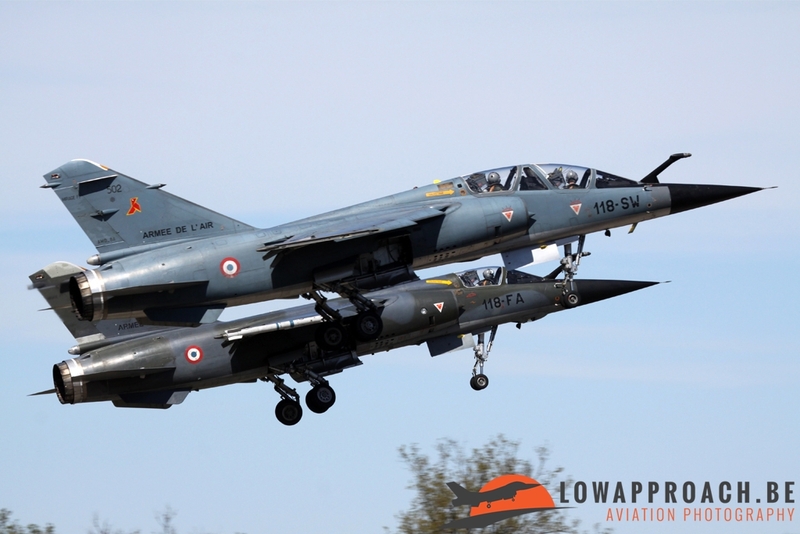 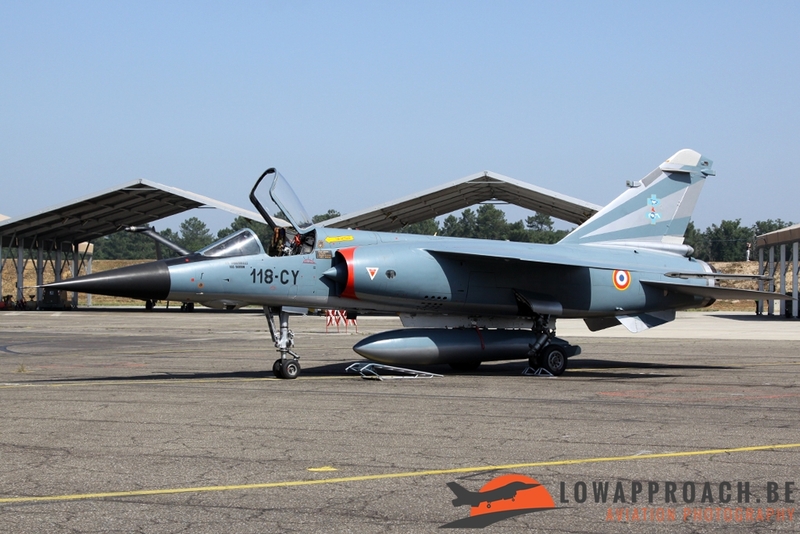 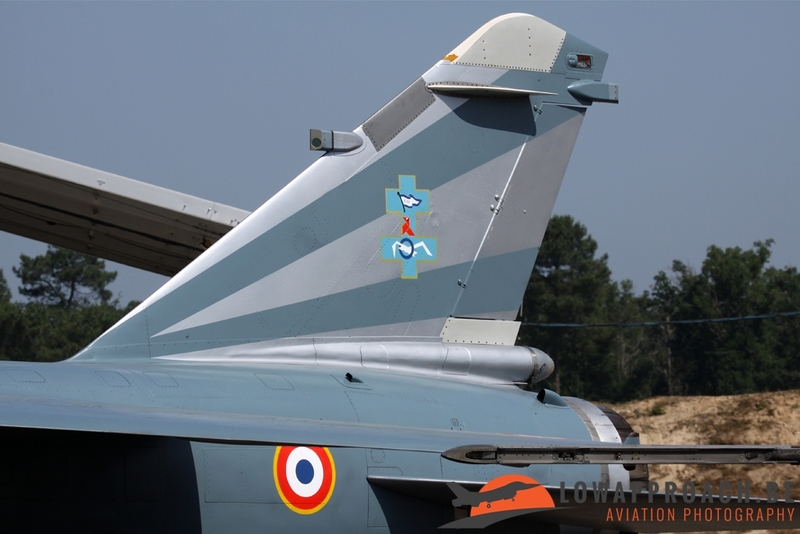 After the retirement of the Mirage F-1CR, electronic intelligence (ELINT) missions with the ASTAC Pod will be flown by the Mirage 2000D fleet which is by 2014 modified to use this reconnaissance pod. 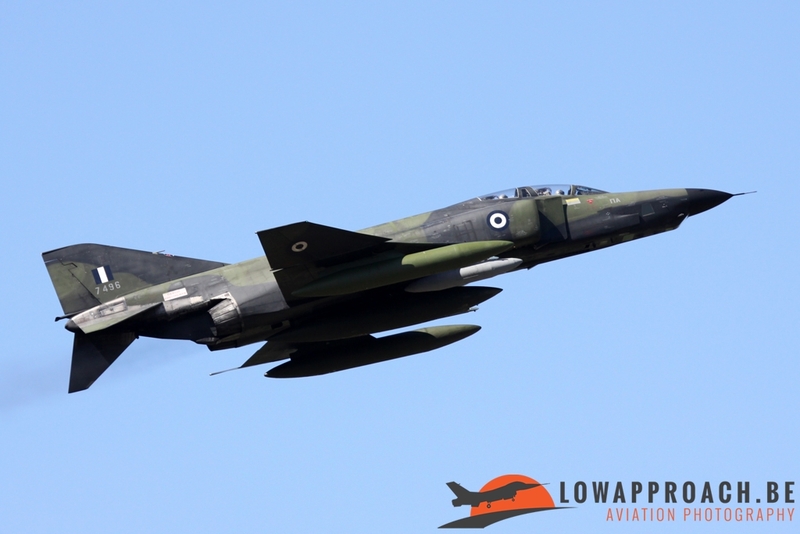 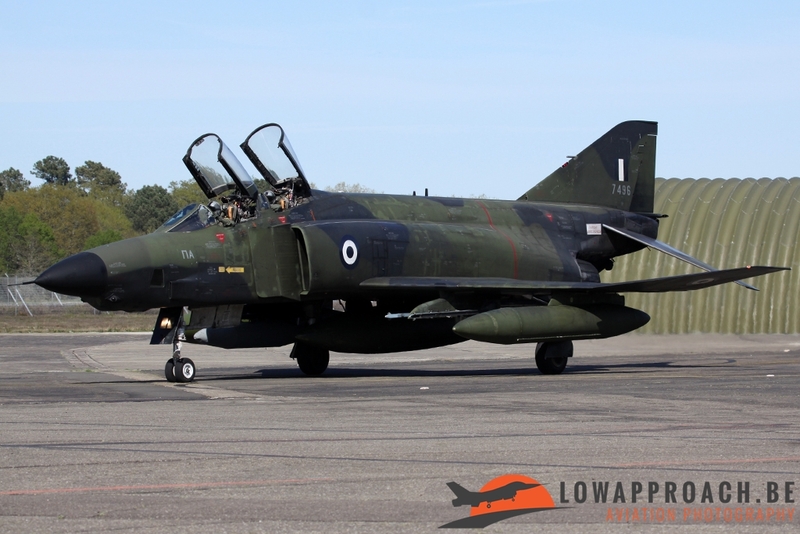 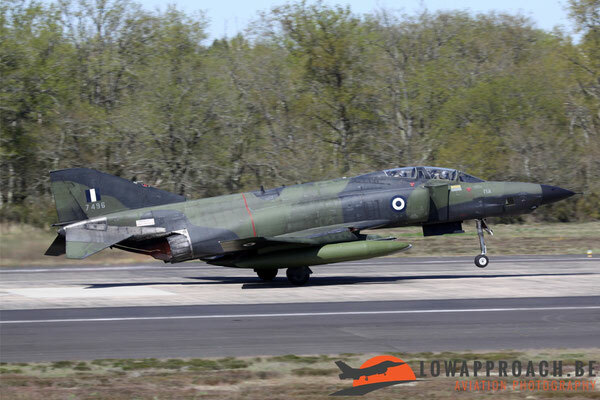 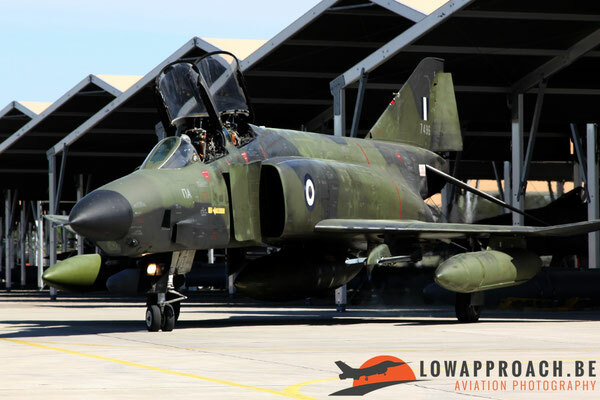 During the day several missions were flown by the participants of the recce meet but the highlight during the day was the start-up from the Hellenic RF-4E 7496 which was marshalled by ‘the spook’ himself out of the sun shed afterwards. 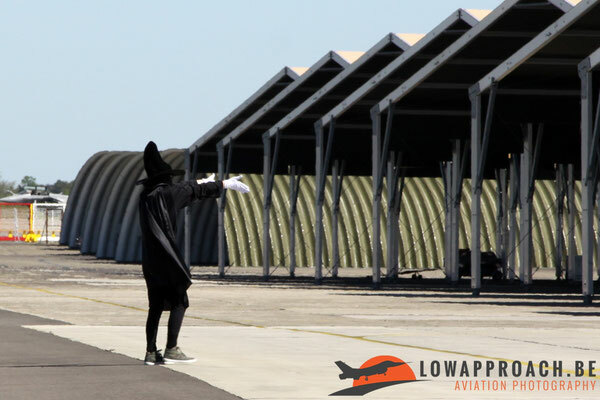 After performing two high speed passes above the runway the Phantom landed and left big smiles on the faces of all those enthusiasts. 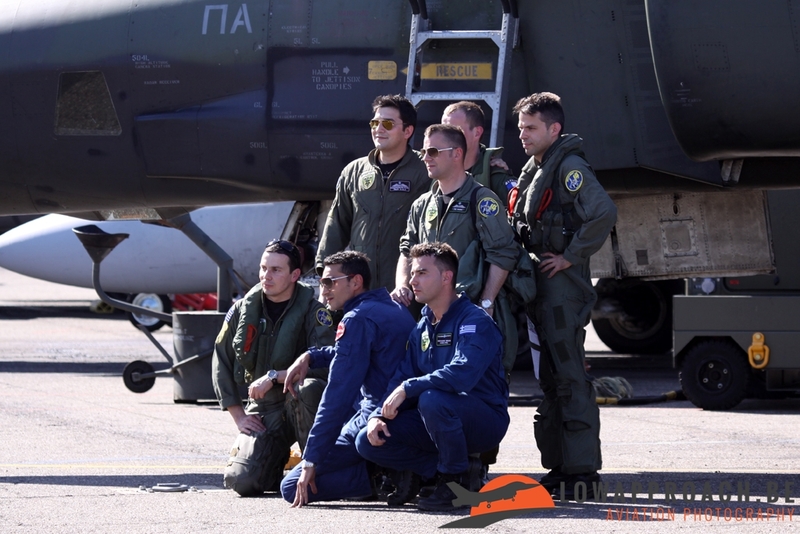 After the flying activity was over all participating crew posed before a Mirage F-1CR and with nice memories and some patches we left Mont de Marsan very thankfully. 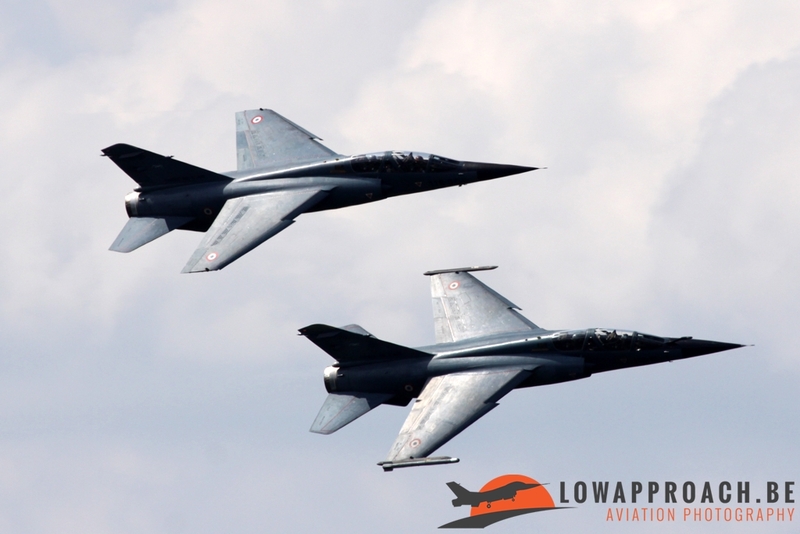 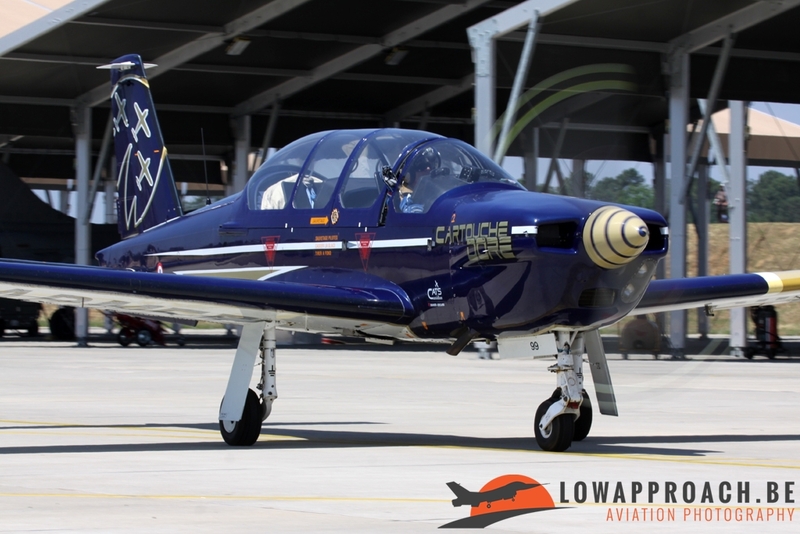 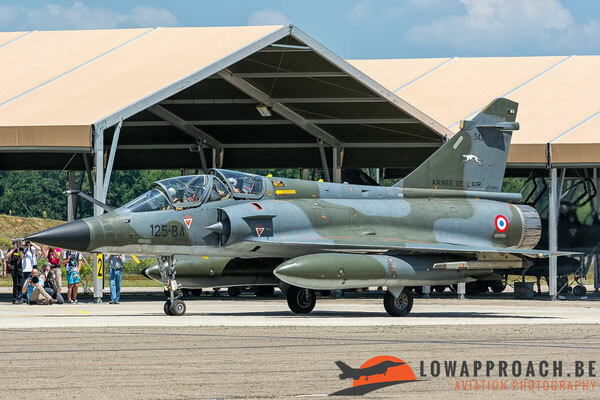 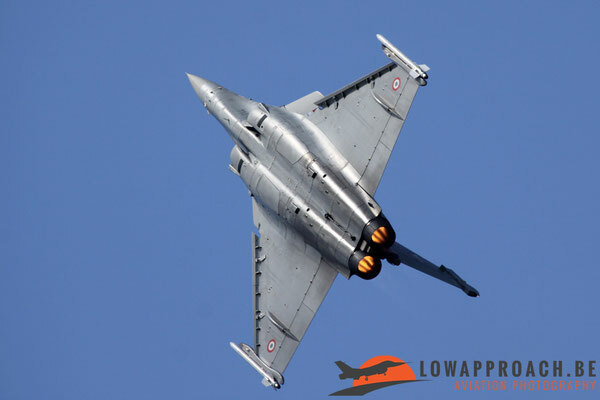 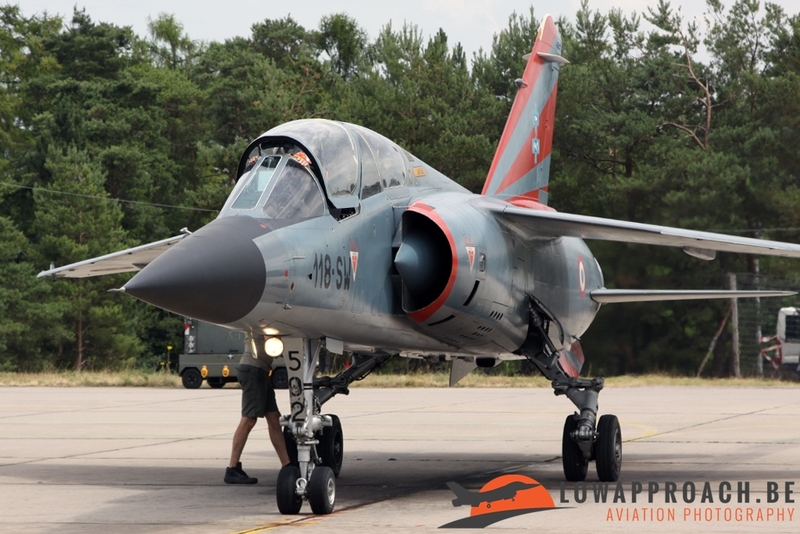 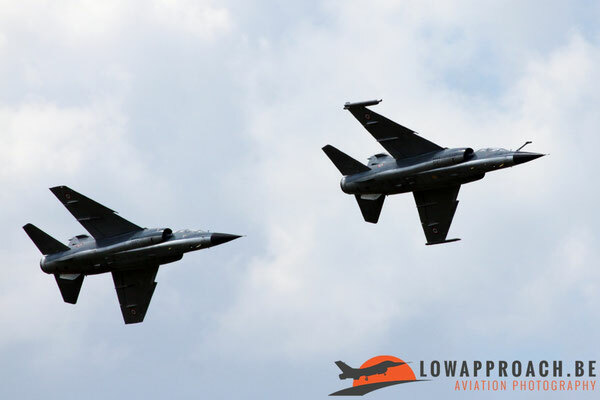 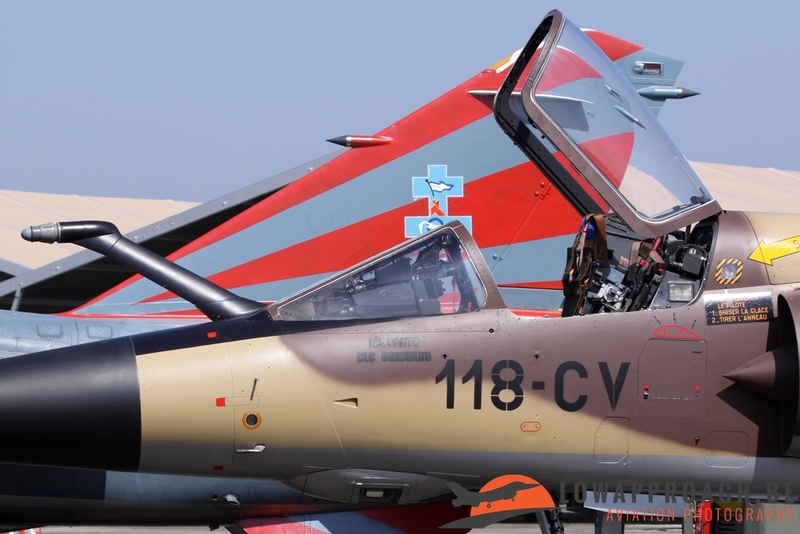 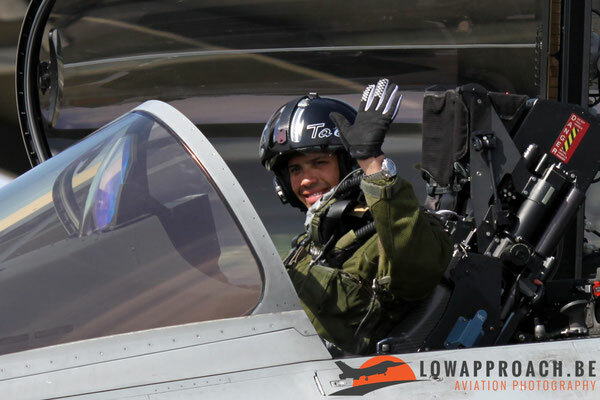 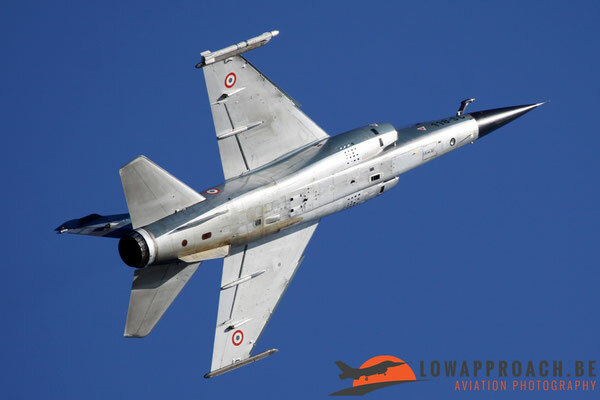 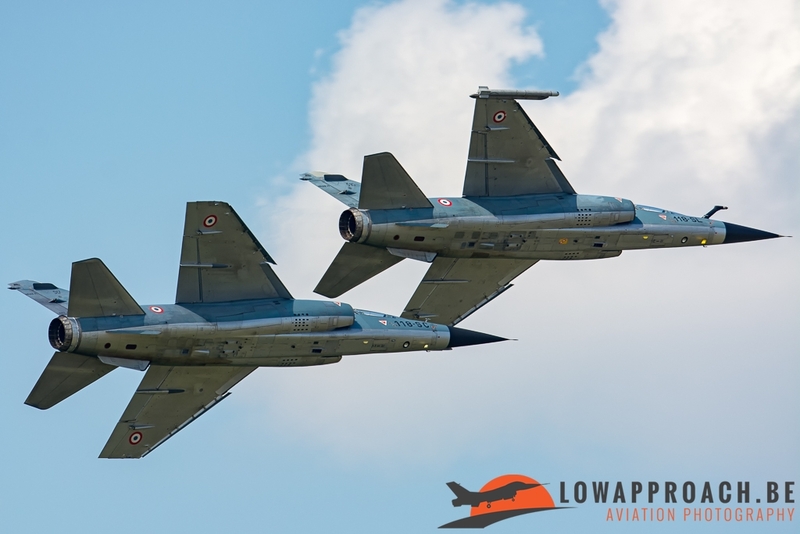 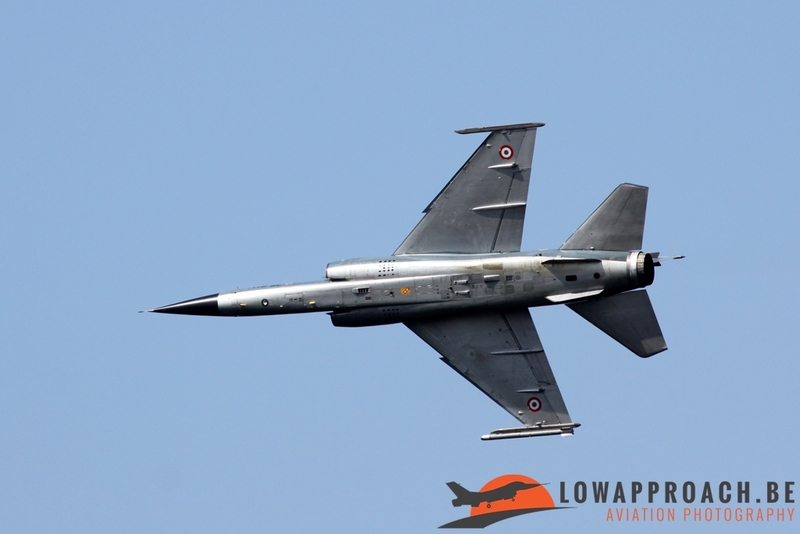 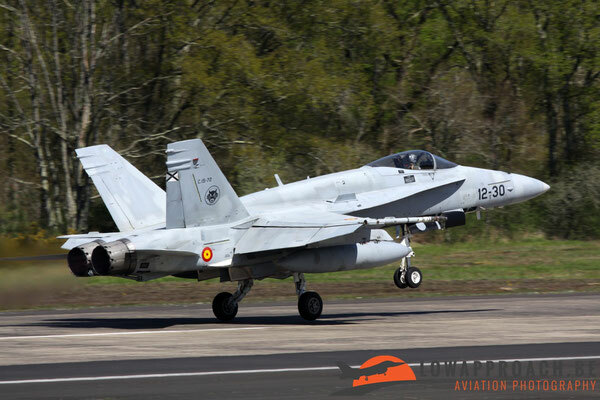 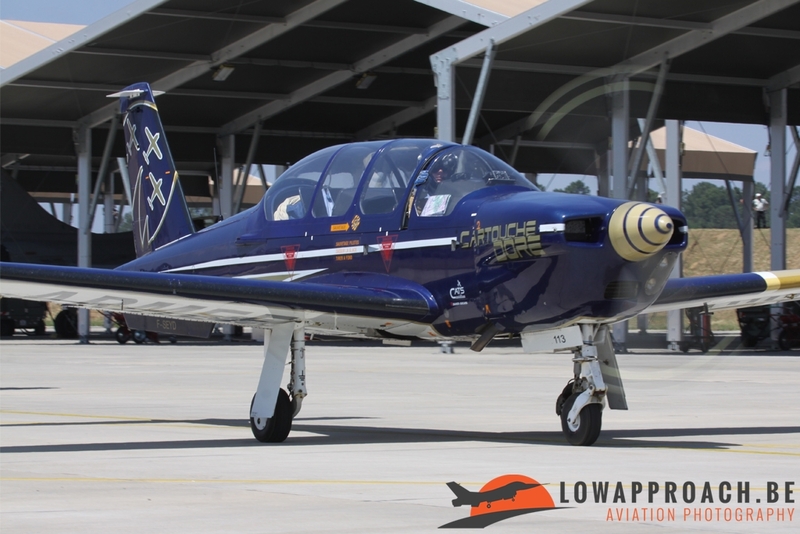 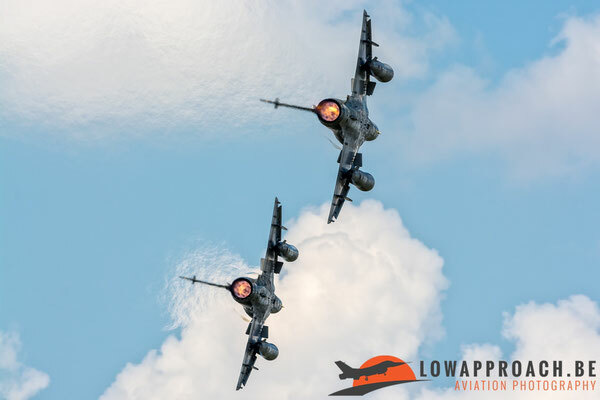 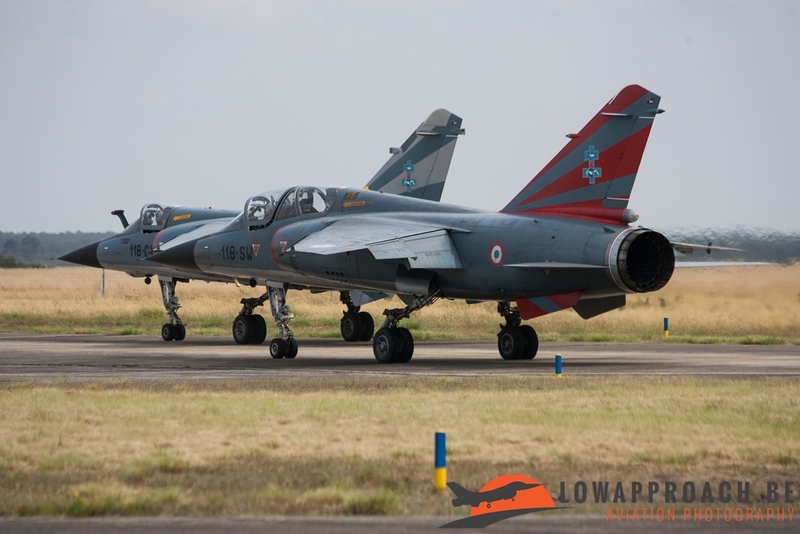 Only two months later aircraft enthusiasts were welcomed again for the third time on June 12, one day before the official disbandment of ER 02.33 'Savoie'. 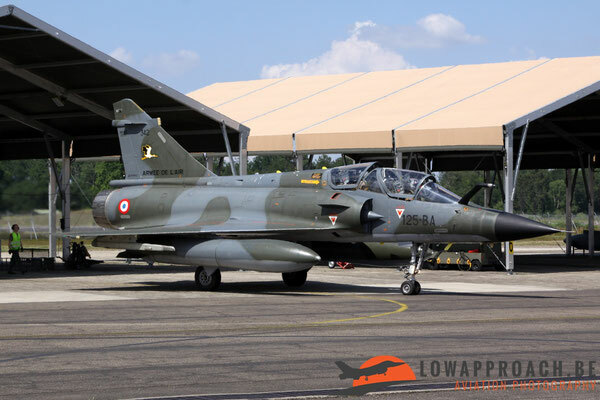 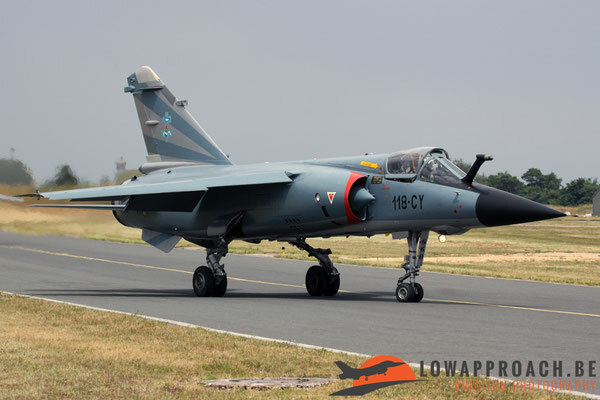 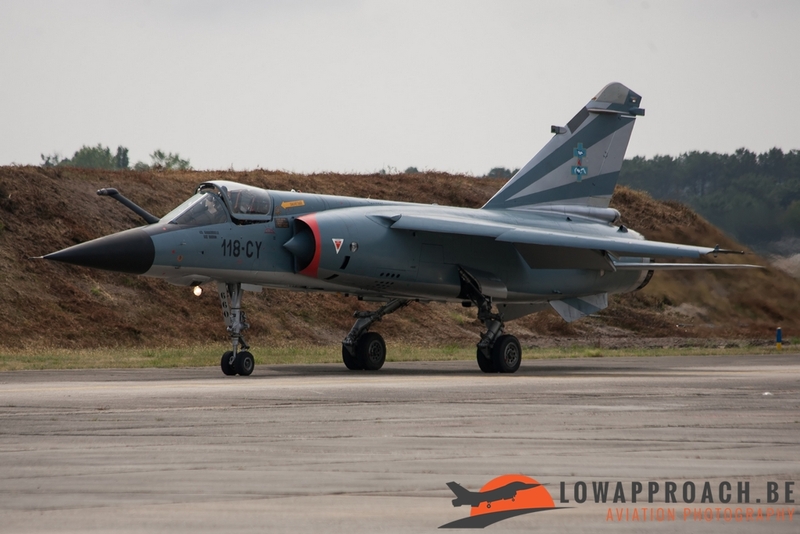 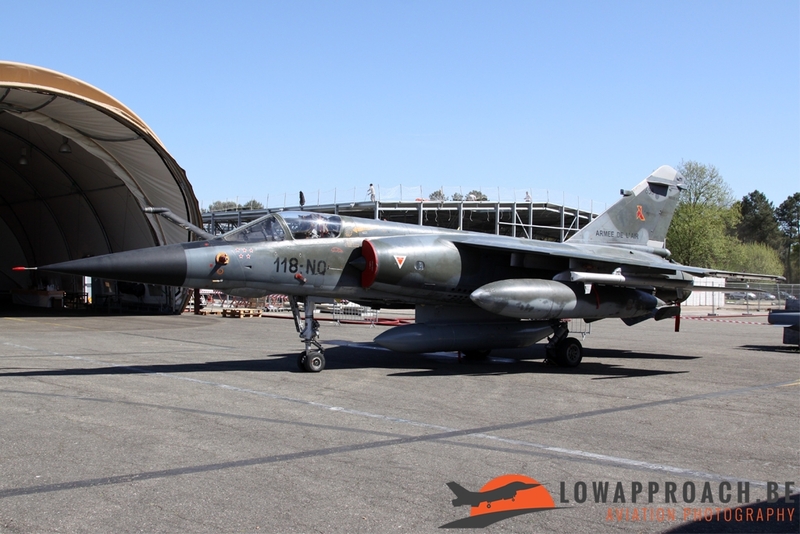 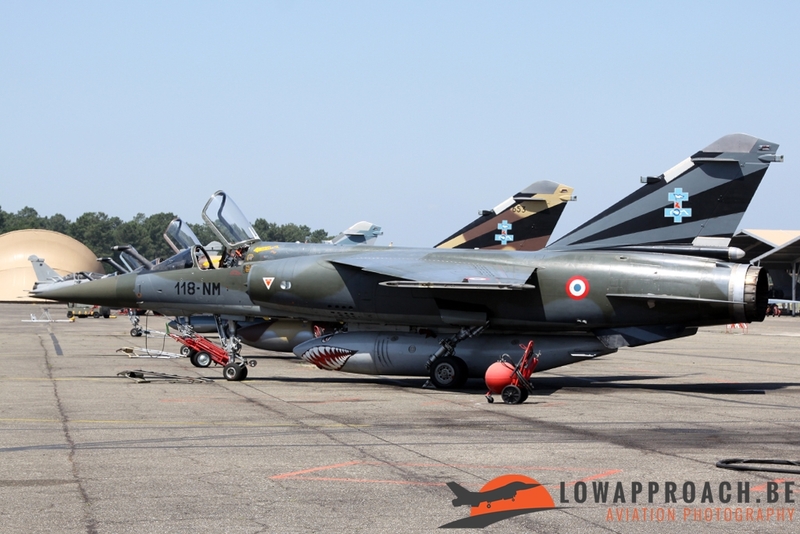 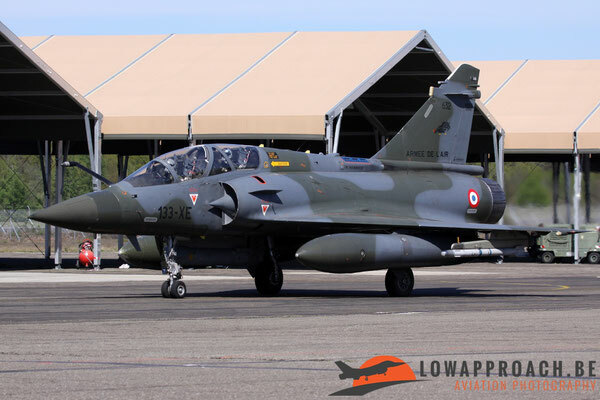 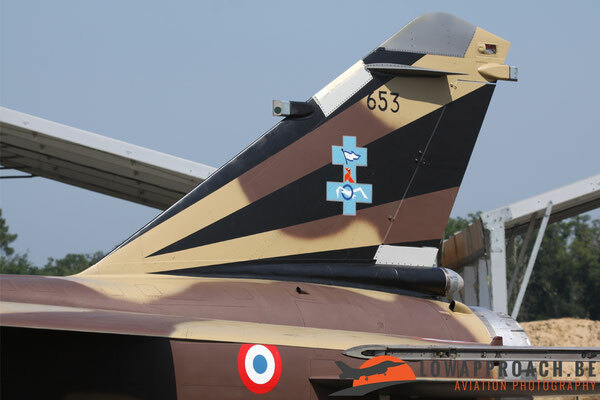 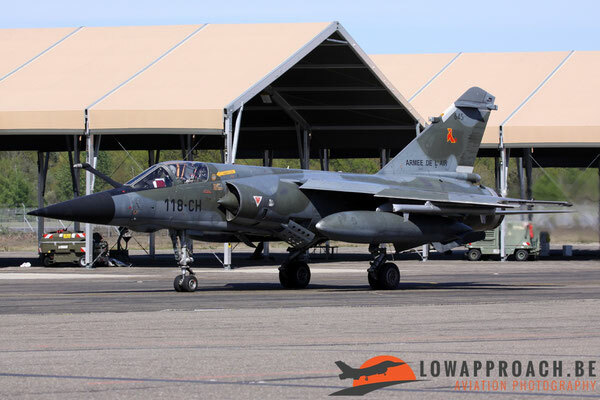 When we arrived at the flightline we could immediately see four Mirage F-1 with special liveries parked over there and marked with badges from the escadrilles C 53 'Fanion', BR 11 'Cocotte de gueules' and SAL 6 'Mouette' painted on their tails. F-1B 502/118-SW:-blue camouflage of air defence. 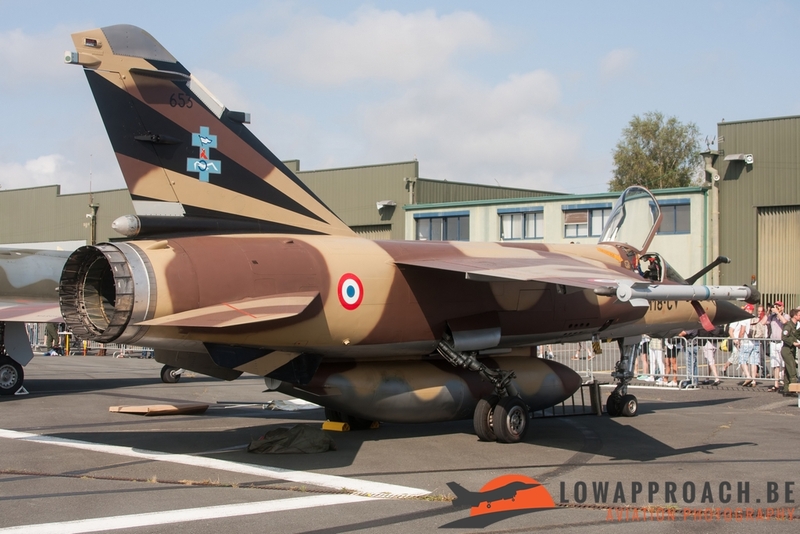 F-1CR 653/118-CV:-desert ‘vanilla chocolate’ camouflage from operations in Africa. 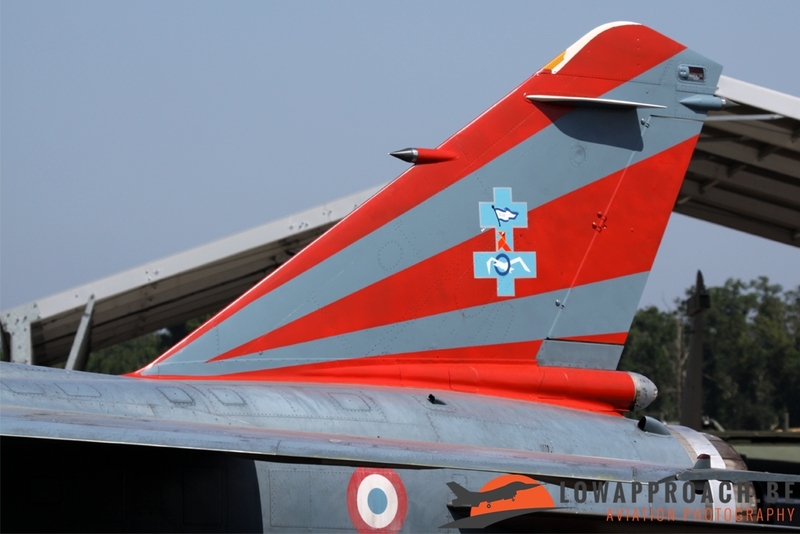 F-1CR 660/118-CY:-blue camouflage from air superiority of the Mirage F-1C. The day started with clouds but when these almost immediately disappeared we saw a reduced flying activity of based aircraft in the morning and arrivals from the Rafale Solo Display, Ramex Delta tactical display, Patrouille de France and Cartouche Doré which all practiced their rehearsals in the afternoon. 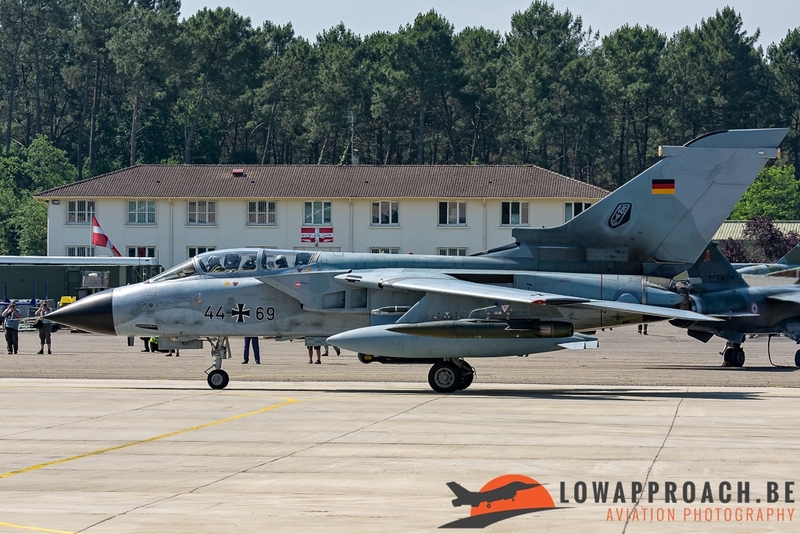 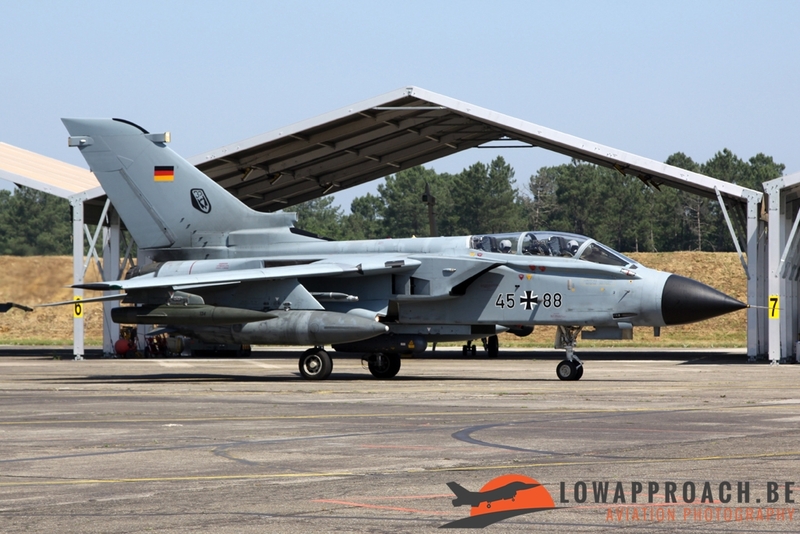 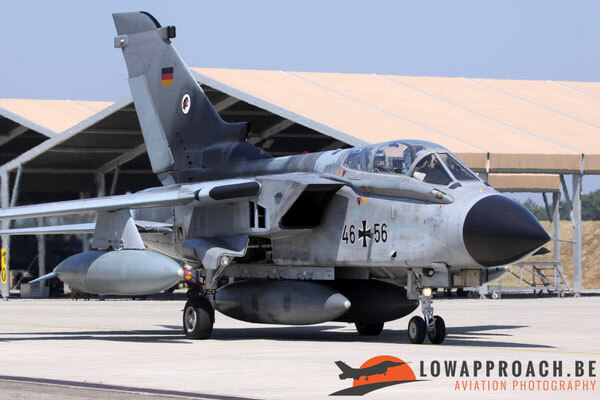 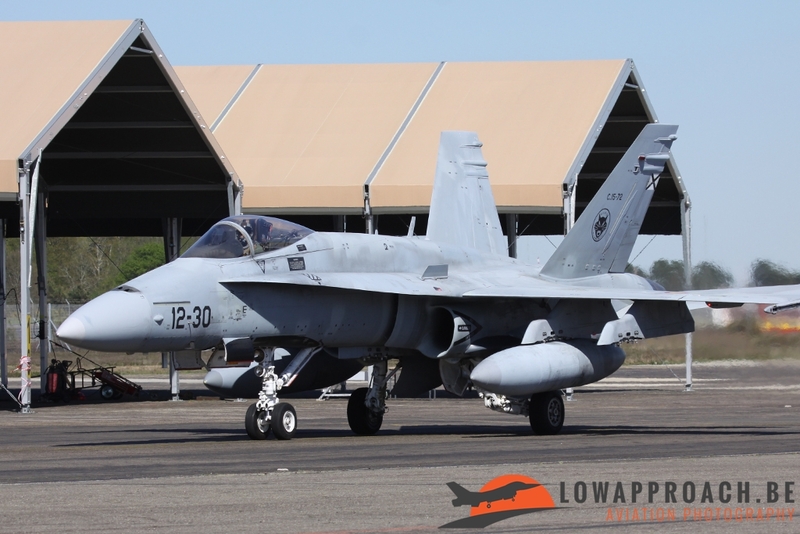 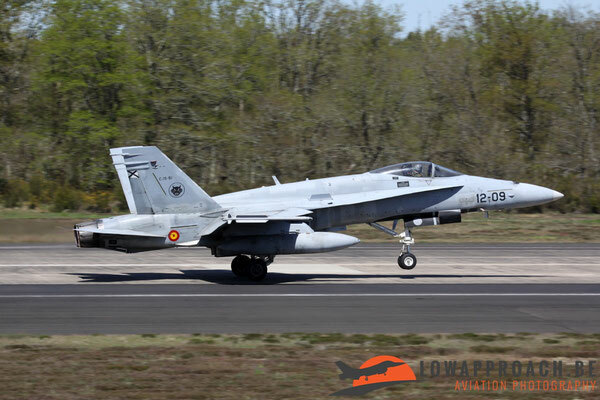 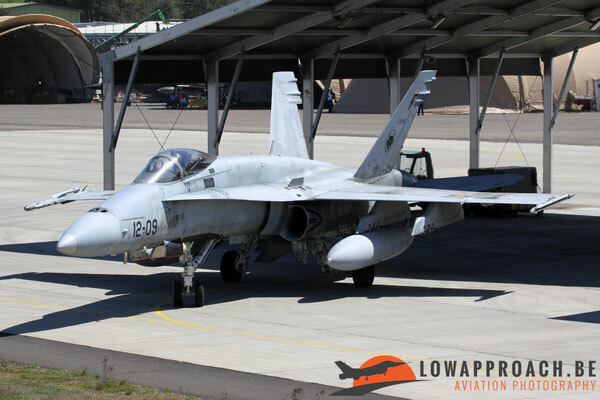 During the day also some foreign aircraft arrived from Germany (three Tornado’s) and Switzerland (F/A-18C Hornet) which were all invited for the farewell party. Also the Mirage F-1 tactical patrouille ‘Carol Hotel’ practiced their flying display and remembered us immediately to the famous patrouille ‘Voltige Victor’ which collided with their Mirage F-1B and F-1C-200 on 10 March 2003 above the airbase from Reims-Champagne killing unfortunately both pilots. 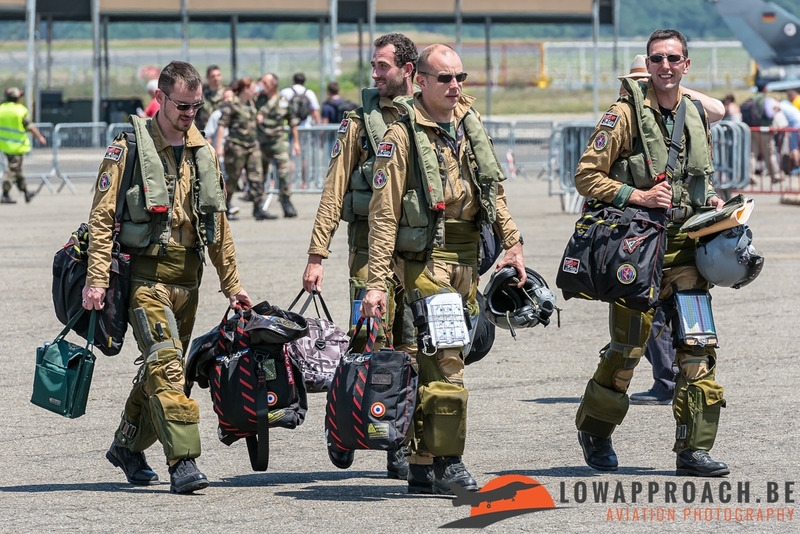 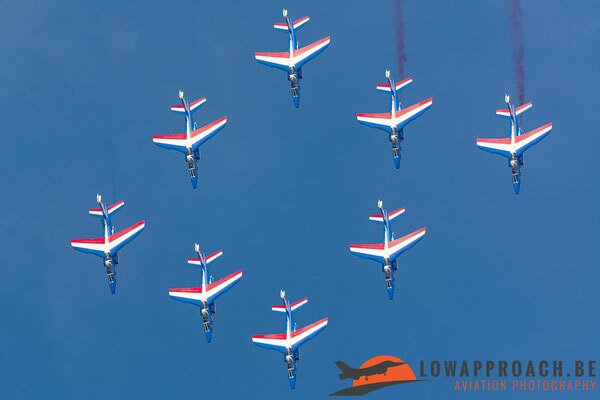 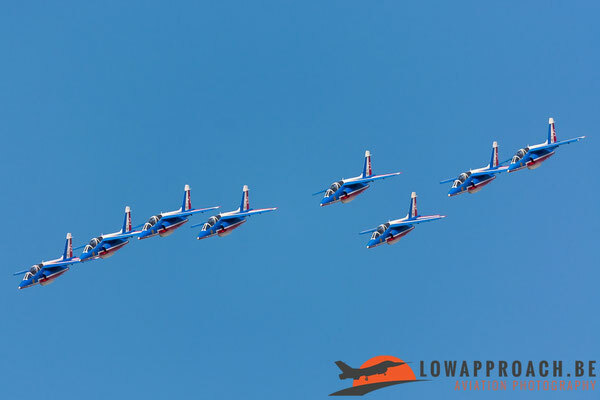 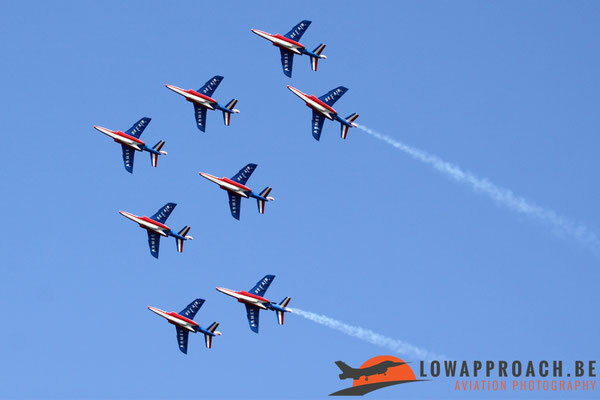 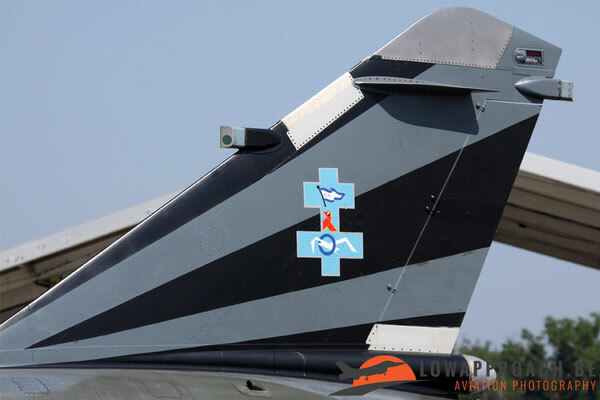 The last public appearance from the F-1 patrouille ‘Carol Hotel’ was during the Meeting National from Cazaux (21-22 June) and Nancy-Ochey (5-6 July). 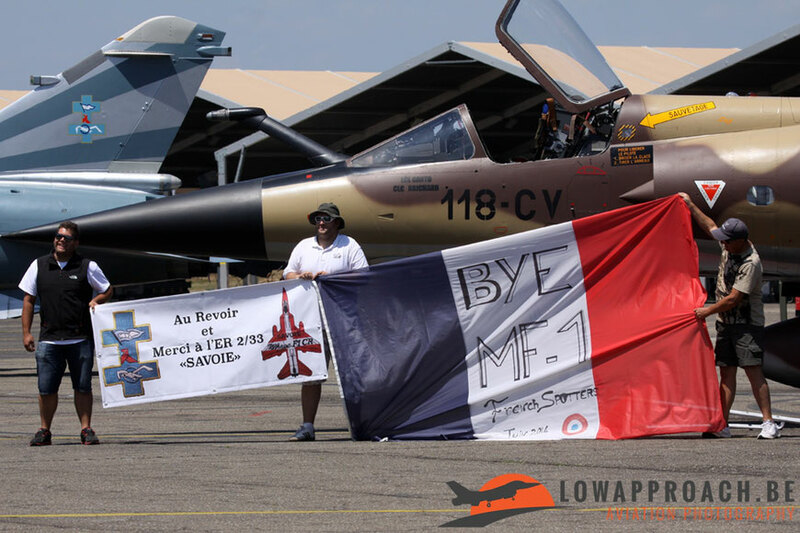 The day ended with a deserved tribute from the ‘French Spotters’ written down on two huge banners ‘Au Revoir et Merci à l’ER 2/33 <Savoie> and BEY MF-1. On the parking we could take our last pictures from some relics which were parked nearby and drove home. 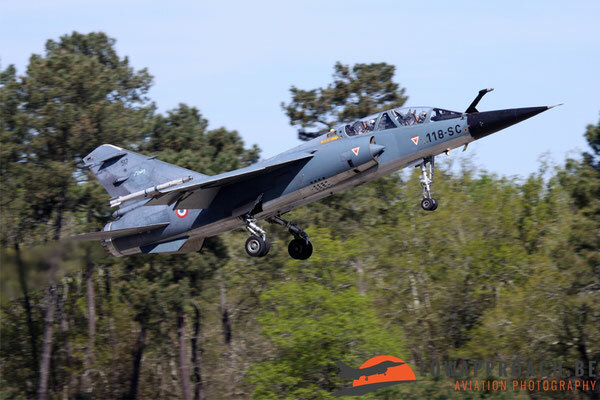 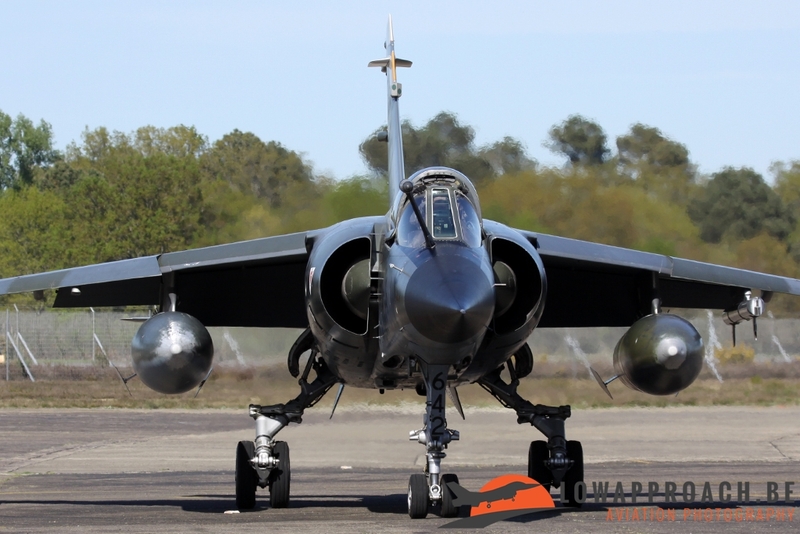 Just before their retirement a Mirage F-1CR 645/118-CH was involved in an incident on Monday 23 June. 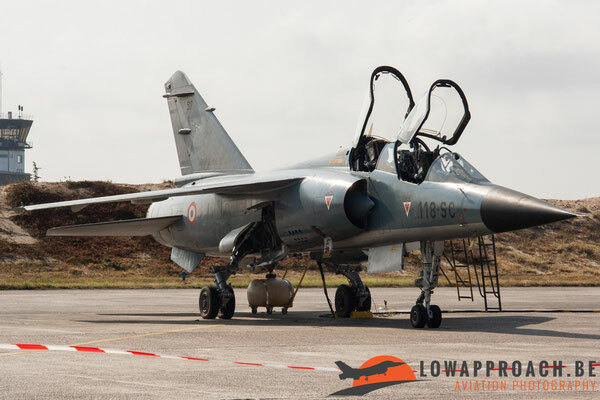 During a training mission with two Mirage’s in the Grenoble area, nearby the Lake Monteynard, a Mirage F-1 cut two cables from a 225.000 high voltage power line but fortunately pilot and aircraft could land safely afterwards at Grenoble Airport. 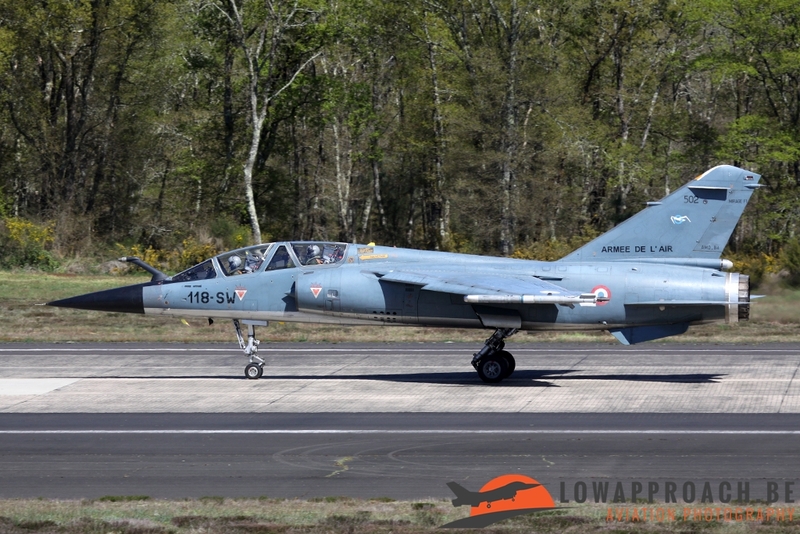 When the last Mirage F-1 left BA118 Mont de Marsan for BA 279 Châteaudun on July 13 the end was nearby. 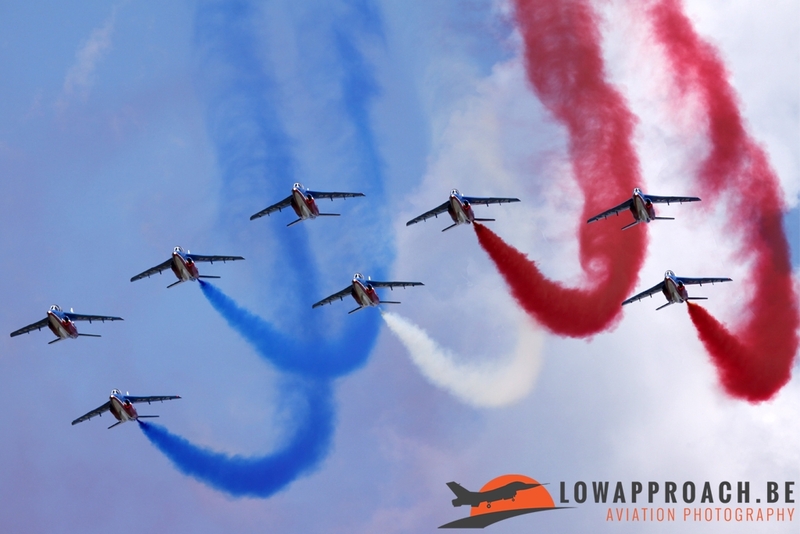 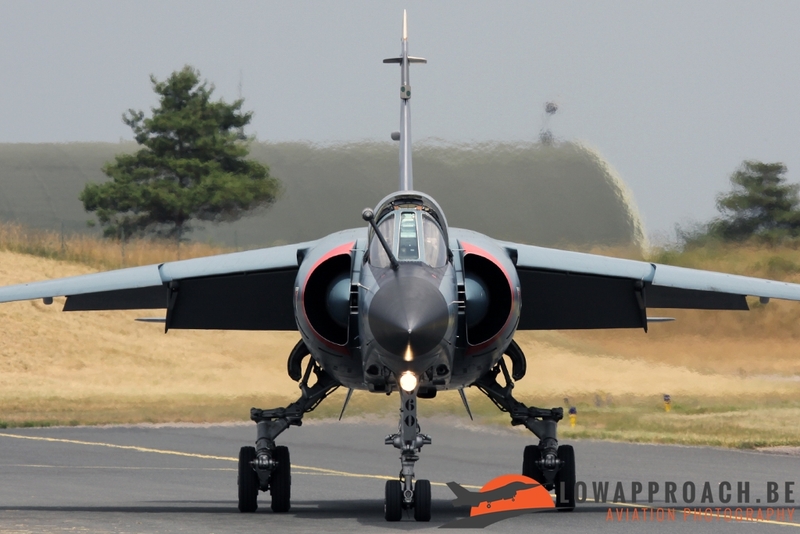 The day after, on Bastille Day 2014, five Mirage F-1’s with French markings flew during the National Day over the Capital City Paris and touched down for the last time ever to close more than forty years aviation history in France.